Imagine owning an ice cream van, on a blazing hot day in the middle of summer. A day where the beach has so many tourists that you can barely see an inch of sand. And lucky for you--- a day where there’s no other sellers in sight. You start playing the ice cream jingle from your van and, before you know it, hoards of people gather around willing to pay just about any price to buy an ice lolly from you. Or for that matter, any type of ice-cream. As it turns out, selling ice creams on a hot day isn’t any different to finding a high profit niche on eBay. When you find item categories with a high demand from customers but a low supply of sellers you end up with a great opportunity to make a lot of profit. On eBay, ice-creams aren’t likely to be a profitable niche...they’d melt in the post! But you might find there’s profit in anything from computer cables to weedkiller. So let me show you our process to find profitable niches. The fastest and easiest way to find a profitable niche is to follow another seller and search through their items. If you’re not sure how to find a suitable competitor then here’s a very simple method. Choose a top selling item from the Amazon results, copy the item into eBay and write down the name of a seller that has sold a lot of them. Once you’ve found a seller, you can go ahead and start scrolling through all the items they’re selling. If you have ZIK Analytics, you can see the seller’s items by putting their name into the competitor research tool. And if you don’t have ZIK, yet, you can sign-up to the 7 day trial here to test it yourself. The overall selling statistics (e.g. sell through rate) of the seller aren’t very important for the purpose of finding niche ideas. If you’re looking for ideas of good books to read, you’d probably go to a library because of the huge selection of books you’d find. Likewise if you’re looking for niche product ideas, it’s not a bad idea to search where the selection is biggest too - like Amazon, Walmart or AliExpress. You don’t need to reinvent the wheel to do this either. In the same way that you can find sellers to analyze by selecting an item category and typing in “bestseller” into Amazon, you can do the same to generate a quick list of niche ideas too. If you’re a buyer looking for a whiteboard eraser, you’ll probably type something like “whiteboard eraser” into eBay. But if you’re buying a mobile phone you’d be much more likely to search for the make and model of the phone you want rather than just “mobile phone”. When finding for hot items, it’s important that you should only look for non-branded items. In particular, items and niches where the brand has very little impact on the amount of sales and buying decisions of customers. Doing this will make it much easier to source alternative items for profitable niches as you’ll find out later. 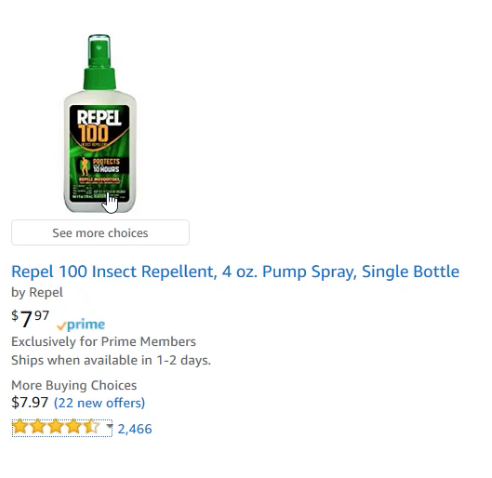 Here’s an example of an item that wouldn’t be useful to us, notice how the brand name “Repel 100” is a big factor in the sales? By now, you should have a few item titles written down or copied to a word doc, so it’s time to see if there’s any profit in them. Product titles often contain a lot of keywords and additional info about the product. Our job is to cut out any words from the title that aren’t important so that we’re just left with a description of the niche. 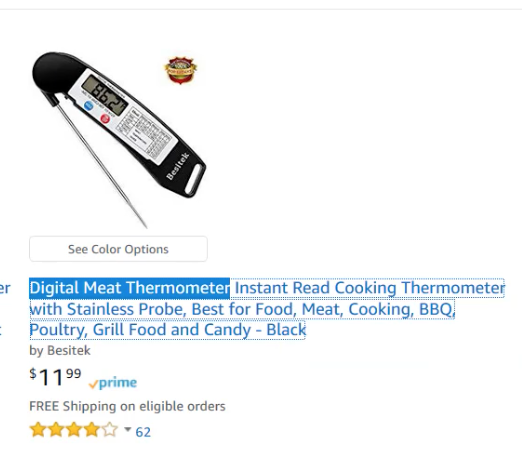 The niche in this title is simple: “digital meat thermometer”. 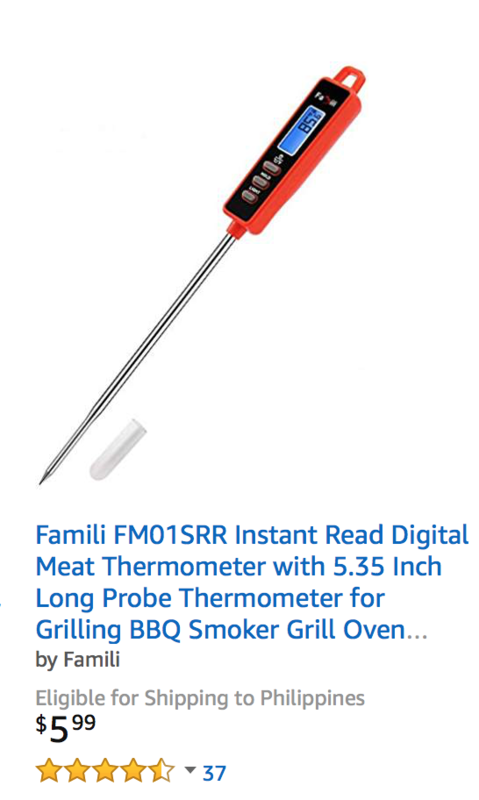 If you did a search for this, you’d see hundreds of different types of digital meat thermometers. This listing is for a HDMI cable, so you could consider the general niche to be “HDMI Cable”. But be careful. If you just analyze the niche of “HDMI cable” you’ll find thousands of types of HDMI cable, some a lot different than others. It could be that one specific type of HDMI cable is high-selling, but another isn’t. So for popular items like this, you’ll find it more useful to look for a micro-niche that is slightly more specific. In this example, you might choose to cut the title to “HDMI Cable 6ft”. And lastly, for the item above, the key defining features are that it’s a bluetooth speaker, and a night light. So the phrase to take from the title would be “night light bluetooth speaker”. Remember when I told you that finding a hot niche was like selling ice-creams on a hot summer's day? Well the next part is all about finding out if the niches you found are like a hot day with a beach full of buyers or if there’s a thunderstorm and people are staying at home. 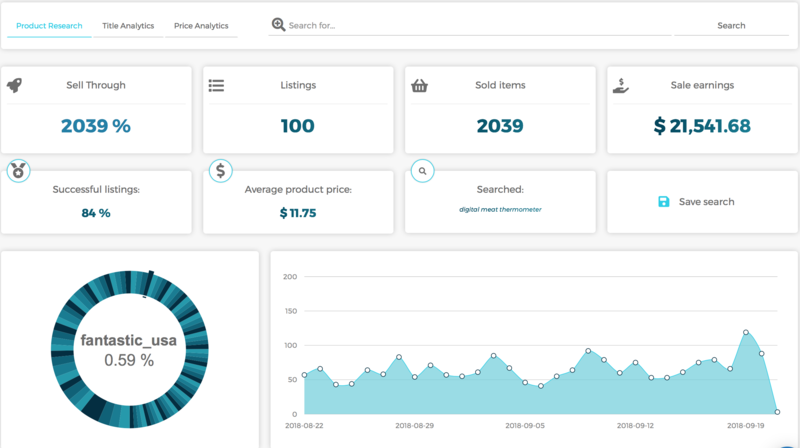 To do this you’ll need to use a product research tool like ZIK Analytics so you can see the selling statistics of the niches you’ve found. (Remember, if you don’t have a market research tool already, you can try ZIK for 7 days here). For a niche to be potentially profitable, you want items to be fast selling and a high percentage of items to be successfully sold. When a high percentage of successful listings, it’s a sign there could be room for more sellers to enter the niche. If the average selling price is quite high, you can be a little flexible because it could mean the opportunity for a higher profit margin. Higher sale earnings in the niche usually means a higher potential for profit. If your niche fits these criteria - keep it on your list! If not, delete it and find another. When a detective walks into a house with blood on the walls, bullet holes in the ceiling and smashed glass in the windows, he’ll assume it won’t be long before he finds a body. Most eBay buyers prefer to buy from sellers with a high amount of feedback because they feel safer. So if you find an eBay seller with a low amount of feedback, but abnormally high sales then it’s a good sign they’ve found a hot item or written a great SEO-optimized title. Hmm, notice anything? There’s a seller with 212 feedback that has 100 sales in the last 30 days whilst most other sellers with similar feedback have less than 10 sales. When you find listings like these, note them down. Take a look through it and try to work out why it’s selling so well. Is it the price, title, uniqueness of the item, speed of shipping? And how about these 2 sellers? One seller has 1600 feedback and the other has 784,185 feedback. But the lower feedback seller is still managing to sell 100 items at a much higher selling price - $8.89 v $4.99. Again, note the listing down and take a look - can you work out what’s making this item sell so well? Sometimes you’ll see that 2 sellers will sell exactly the same item, at very similar prices but one seller will have far more sales than the other. If you notice this, definitely take a closer look. In this case, it’s just because one seller has thousands more feedback than the other - but sometimes it might mean they have a better item title, something you can learn from when we look to enter the niche in a minute. Bonus Tip: Also write down any hot sellers you find whilst looking through the niche so you can put them into the competitor research tool and look through other items in their store for more niche ideas. This is the part you’ve been waiting for, it’s time to make money! If you’re a dropshipper, the way we advise to do this is by sourcing your own similar items for some of the hot selling listings you found. You can read more about this method in our article about charging more here. To start, go back to any of the hot-selling listings you found before. Before we find our own alternative items, we need to make sure we’re replacing items like for like. 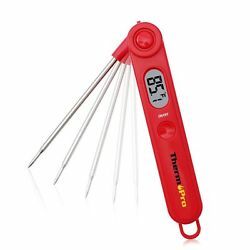 It would be no good sourcing, say a baby thermometer when this one is for BBQ’s. When you go to source an alternative item from your supplier you need to make sure it can fulfil the needs of the market and matches or is better than the item you’re substituting for. You can use any supplier that you want but remember you’re also competing on things like shipping time too. Here’s a cheaper alternative from Amazon we could source. All you have to do is a quick search and filter prices low to high. As long as the main features match, you can go ahead and list it on eBay under the same title as the competitor - and at a cost price of just $5.99 - expect to make a big profit on this one!